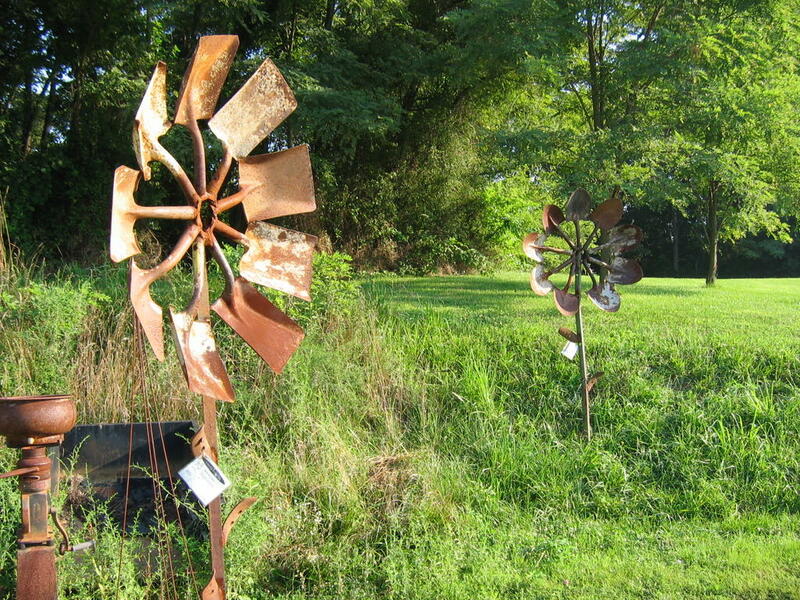 Great sunflowers made from shovels. 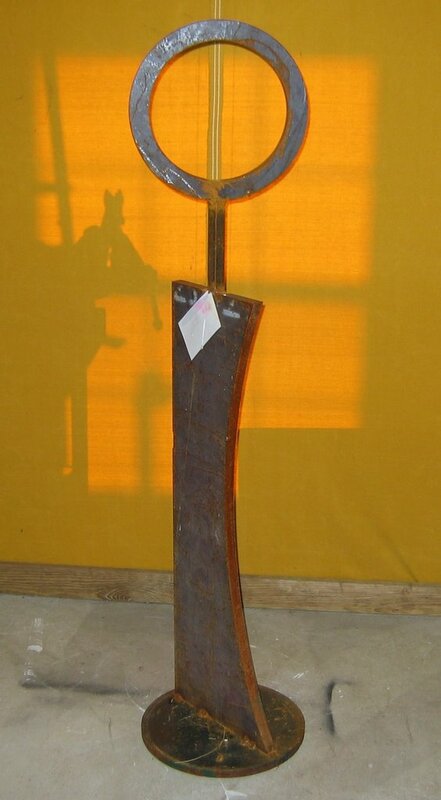 I call this one “Gale”. 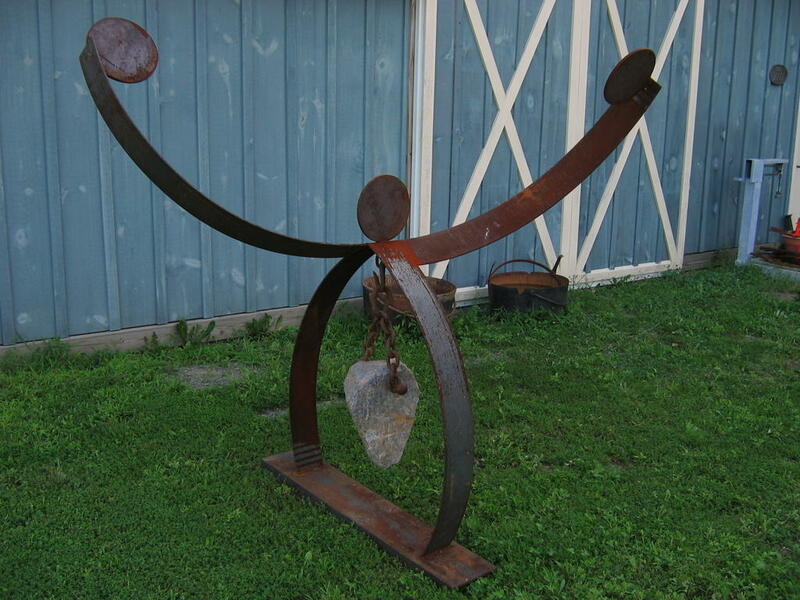 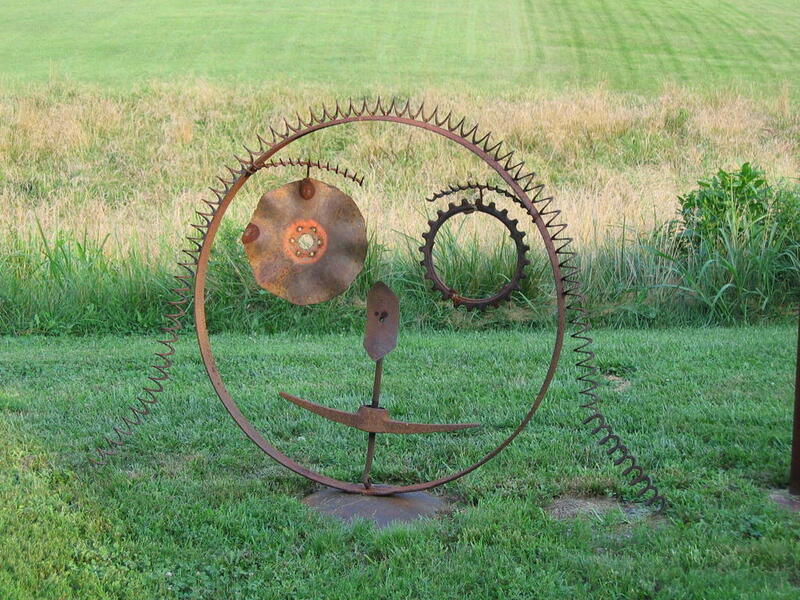 Made from a variety of used farm implements it is one of many whimsical faces I’ve created.